pStrain = evaluatePrincipalStrain(structuralresults) evaluates principal strain at nodal locations using strain values from structuralresults. For a dynamic structural model, evaluatePrincipalStrain evaluates principal strain for all time-steps. Solve a static structural model representing a bimetallic cable under tension, and compute octahedral shear strain. 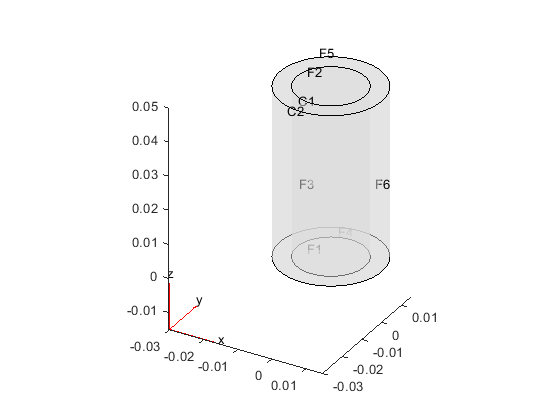 Evaluate the principal strain at nodal locations. Use the principal strain to evaluate the first and second invariant of strain. 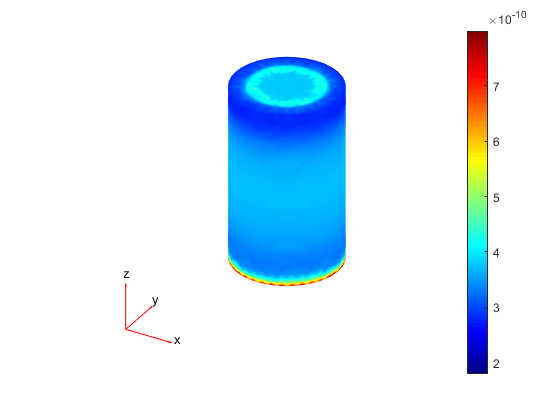 Evaluate the principal strain and octahedral shear strain in a beam under a harmonic excitation. 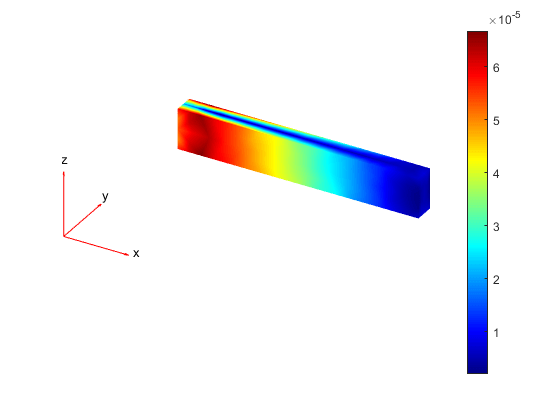 Evaluate the principal strain in the beam. Use the principal strain to evaluate the first and second invariants. 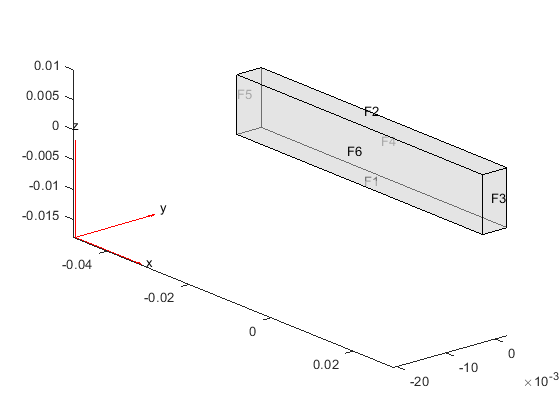 Use the stress invariants to compute the octahedral shear strain. Principal strain at the nodal locations, returned as a structure array.